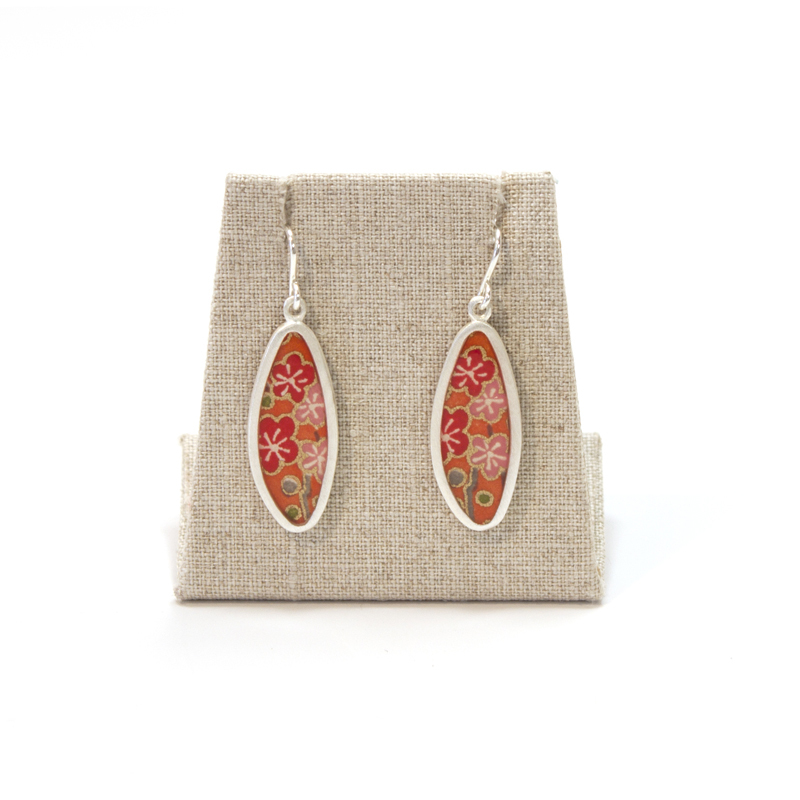 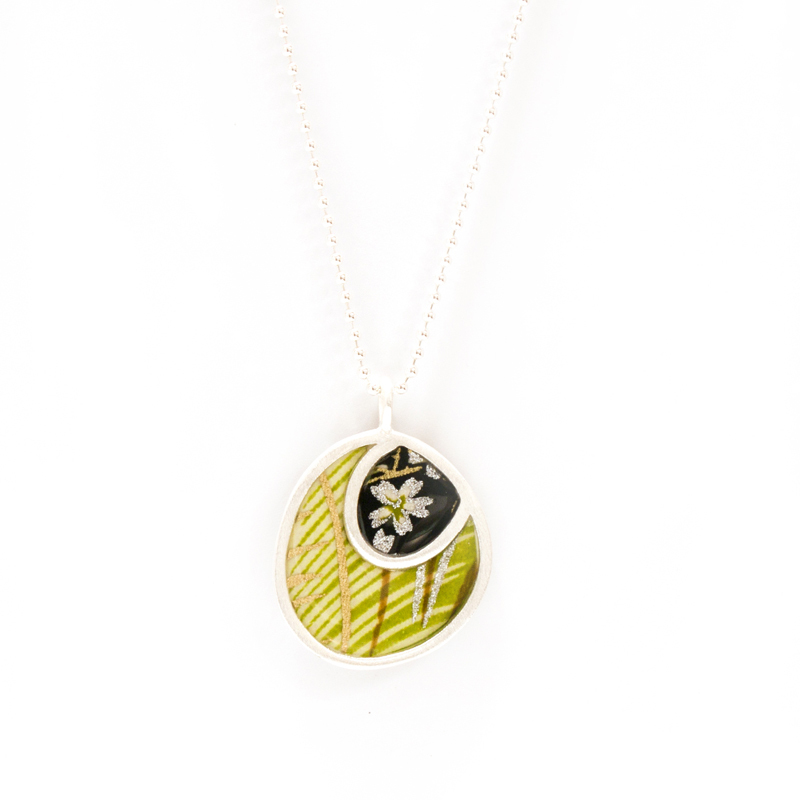 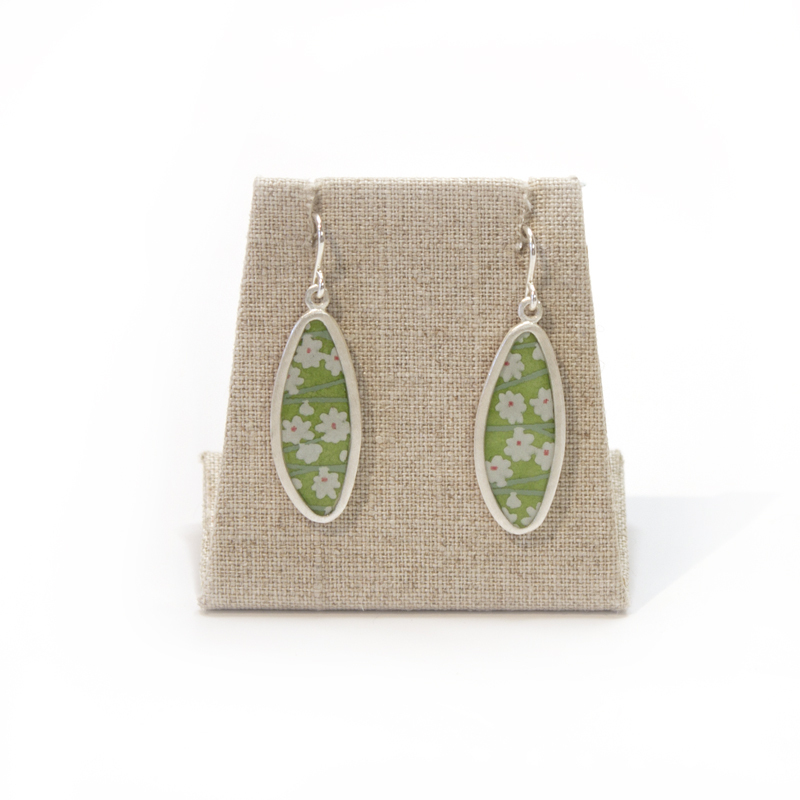 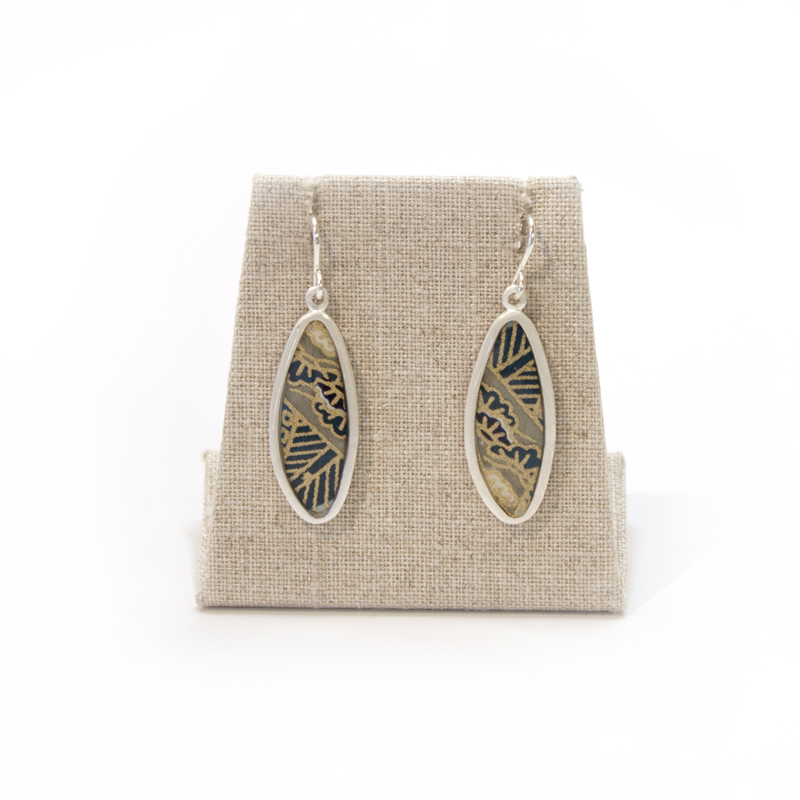 Susan Fleming’s jewelry is inspired by wonderfully decorative chiyogami papers from Japan. 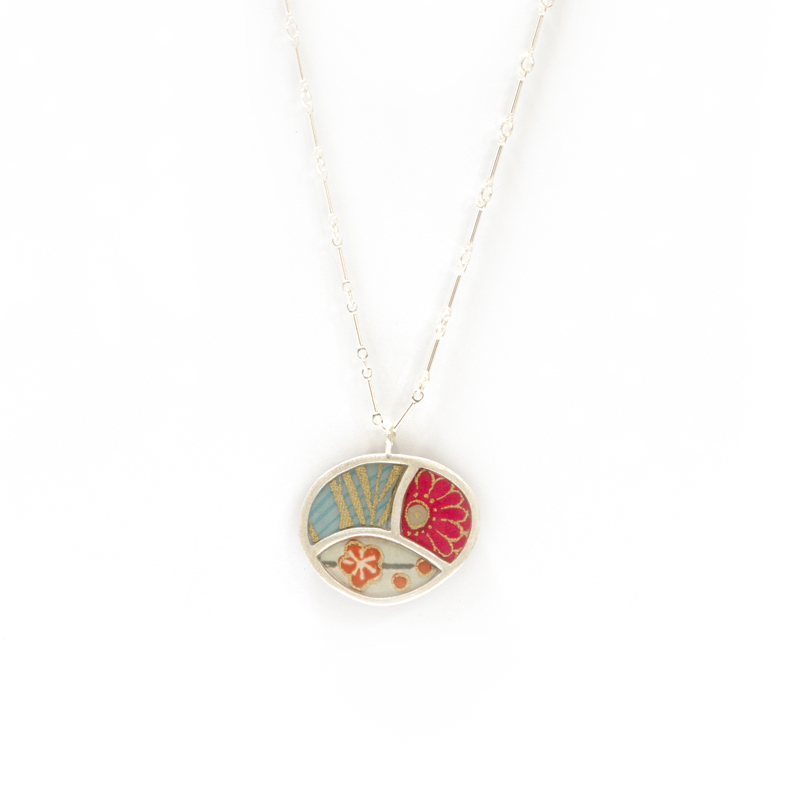 Based on bright kimono textiles, these designs were developed in the Edo period as woodblock prints and used to enliven farmhouse interiors. 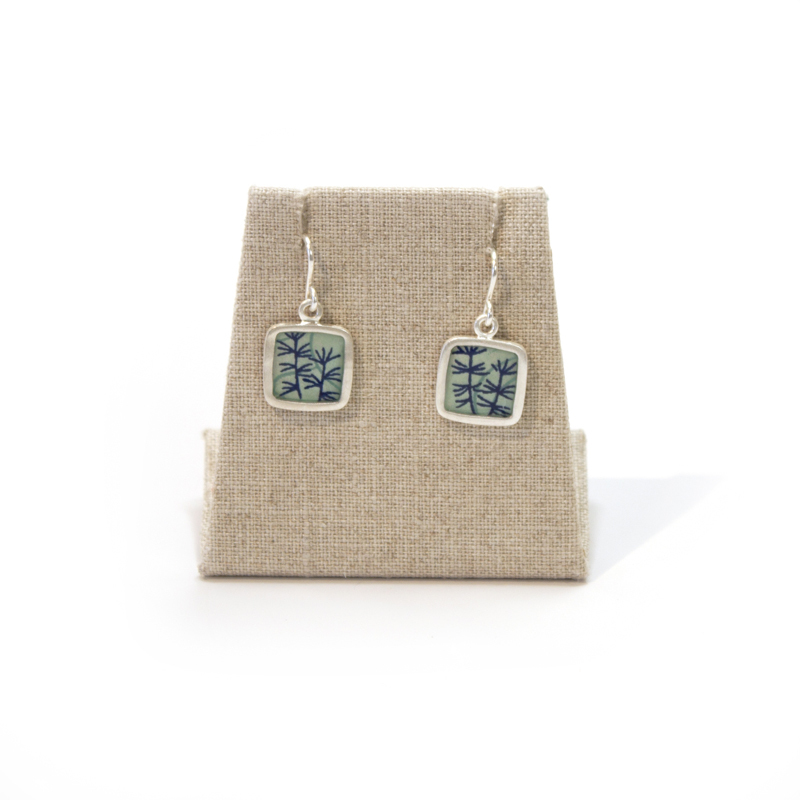 Susan extracts small scenes from these hand silk screened papers, sets them in sterling silver and then protects them under a thin waterproof layer of resin. 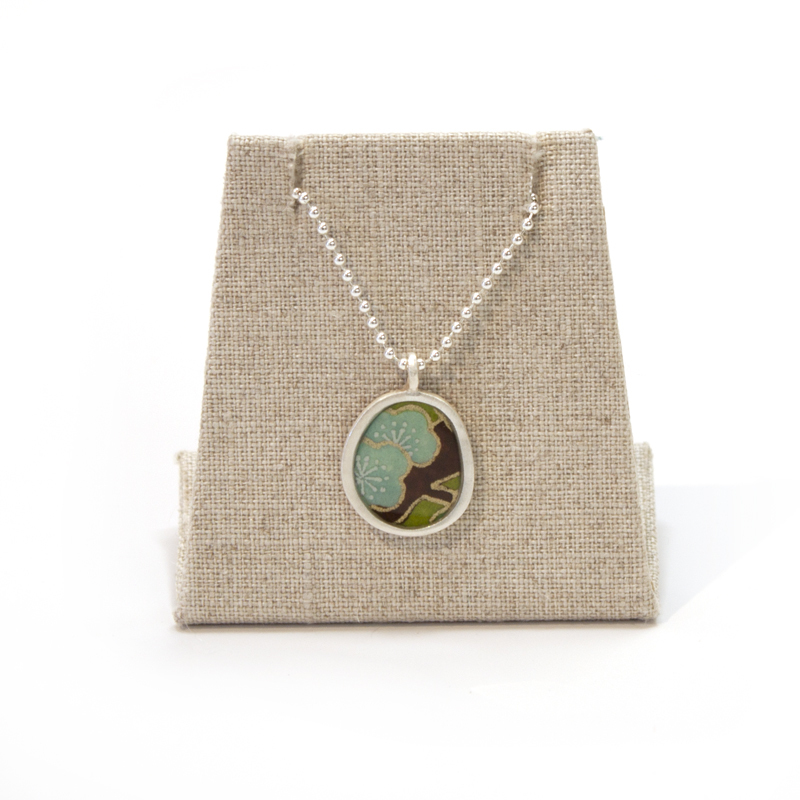 The end result a lasting treasure and piece of jewelry you will enjoy wearing time and time again.